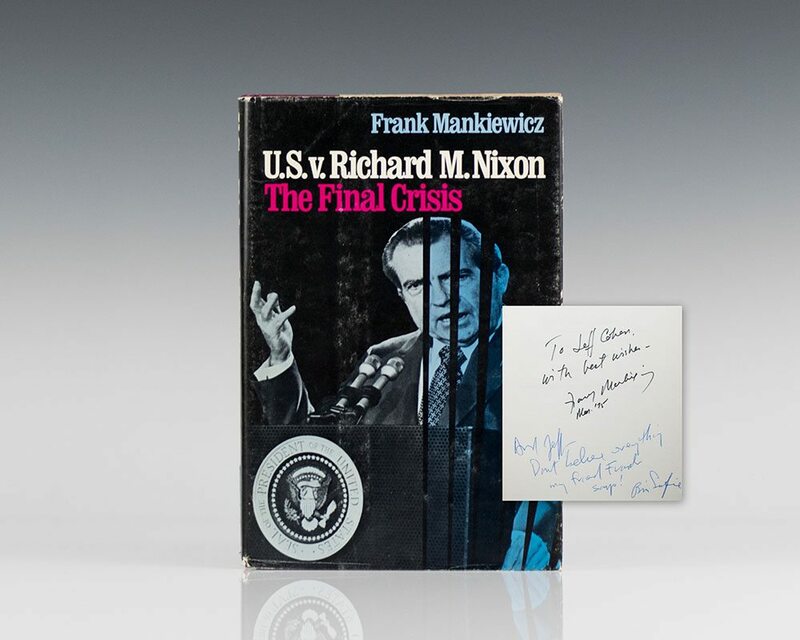 The U.S. V Richard M. Nixon: The Final Crisis. New York: Quadrangle/ The New York Times Book Co., 1975. First edition. Octavo, original half cloth. Inscribed by the author on the half title page, “To ____ ______, with best wishes- Frank Mankiewicz Mar. ’75.” Additionally inscribed by Bill Safire below, “Dear Jeff- Don’t believe everything my friend Frank says! Bill Safire.” Safire was an American author, columnist, journalist, and presidential speechwriter. Fine in a near fine dust jacket. A unique copy.